Tribal Link Foundation has had a special relationship with the Amazon since its founding in the early 1990’s, which was inspired by a profound experience with the Yanomami peoples. It is more than a spiritual connection, however, and we have been working actively with indigenous communities in the region to ensure that one of the greatest natural resources of the planet is intact - for generations to come. Tribal Link Foundation has been supporting various communities there and has close connections with the Yawanawa, Marúbo, Xavante, Huni Kuin and others. In 2018, we partnered with Céline Cousteau's Tribes on the Edge impact campaign to provide support to the indigenous peoples in the Vale do Javari indigenous territory in the Brazilian Amazon. Our support to the region and its peoples is more urgent than ever, due to the hostile stance that the current government of President Jair Bolsonaro has taken against indigenous communities. We have a long-standing relationship with the Yawanawa peoples. 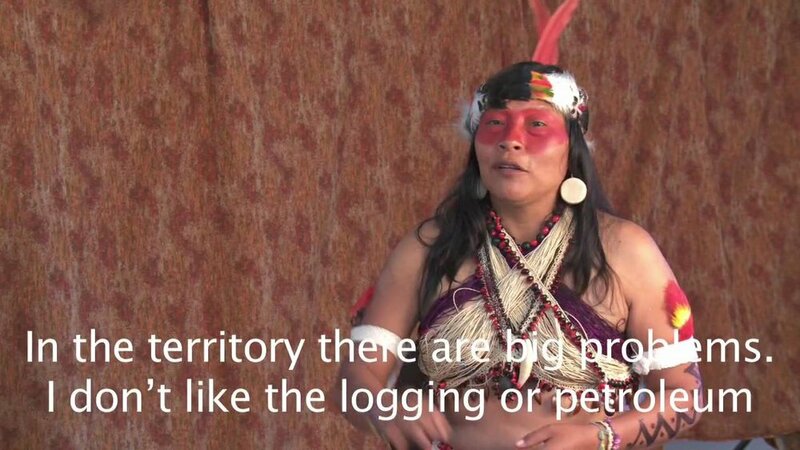 The Yawanawa, who number over 1,200, live in the Gregório River Indigenous Land in the state of Acre. We have organized events together and continue to support the Yawanawa in their quest to implement the Life Plan for Territorial Development, which includes both livelihood strategies such as processing and marketing native açaí; and cultural preservation projects such as protecting traditional knowledge, wisdom, and language. The Vale do Javari in the northwest Brazilian Amazon, bordering Peru, is the the second-largest titled indigenous territory (roughly the size of Portugal). Six contacted tribes live there (Matis, Marubo, Mayoruna, Kulina, Kanamari, and Korubo), as well as over a dozen uncontacted tribes numbering over 2000 people. Uncontacted tribes are under the greatest threat, having no defense or recourse against any illegal or legal activities that affect their territories. The Marúbo and the other tribes, organized in the Union of the Indigenous Peoples of the Vale do Javari (UNIVAJA). We are partnering with Céline Cousteau's Tribes on the Edge impact campaign to provide support to the communities in the Javari. Project Access capacity-building and training program that we hold each year has trained many leaders from the Amazon, such as Manuela Omari above, Tuwe Huni Kuin, and others, that we keep in close contact with.